Wow what a perfect spring day at Saddleback today! 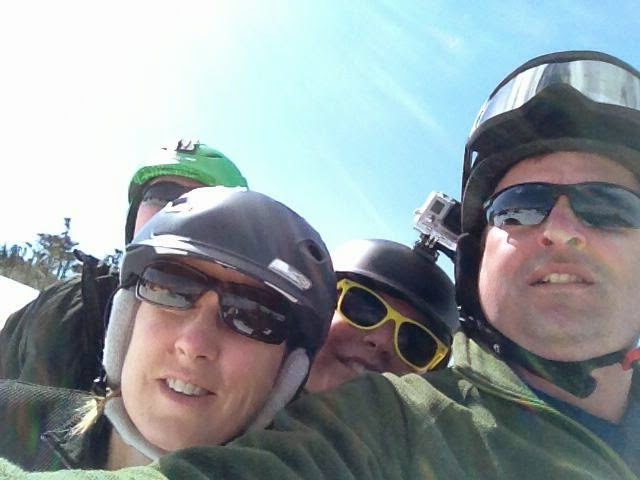 Temps into the 40's-50's, bright sunshine, burgers and drinks on the deck, skiing in sunglasses, not too much wind and still awesome snow coverage on the trails. We were skiing some lines today we have not been able to ski all year! A modest crowd at Saddleback today enjoying the sunshine and soft snow conditions. Everything was skiing great. I think our ROTD (run of the day) was Governor. The top upper glade (which is not open all too often) skied really well, and we could really rip the head wall taking advantage of the wall to wall soft snow coverage. Once into the main section it skied incredibly nice too. Saddleback revived their Bronco Buster challenge today. This is a run down Tightline (formerly named Bronco Buster) and if you make it down without stopping or falling you get a early season lift ticket for next year. This would be really challenging with car sized moguls on Tightline but the trail did not mogul up that much so it was just a general run down therefore not too challenging. They had a band playing on the Yurt deck and there were lots of smiles going around so everyone was having a great time. Here is Isaac's run down Tightline for the Bronco Buster Challenge. And here is some more video various trails around the mountain. It is remarkable how much snow there is up there for this time of year. The scrub skiing at 0:27 is between Wardens Worry and Frostbite. 0:49 is Wardens Worry. 0:59 is Upper Governor Glade. 1:20 is Governor Headwall. 1:28 Governor Rock Jump (with a little help from us). 1:38 Golden Smelt. We are winding down our season. One more weekend to go at Saddleback. Not sure if we will make it up next weekend or not. 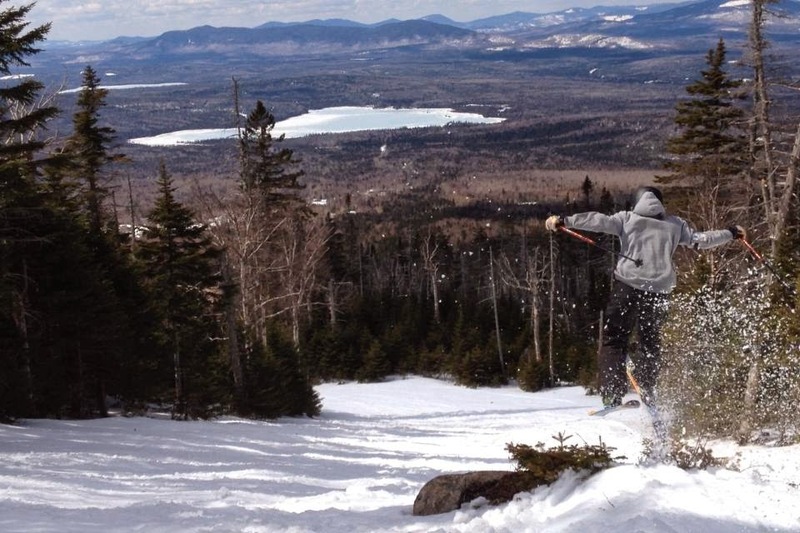 Regardless, it has been a very good ski season in Maine. It was an awesome day at Saddleback. You couldn't have better spring conditions!